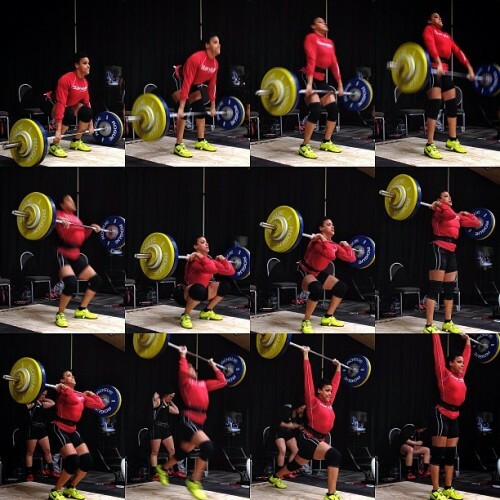 Elisabeth Akinwale (@eakinwale) sequence of a 98kg/216lbs clean&jerk. This sequence was taken in the warm-up room at The Arnold this past March. Elisabeth competes with Team MDUSA. 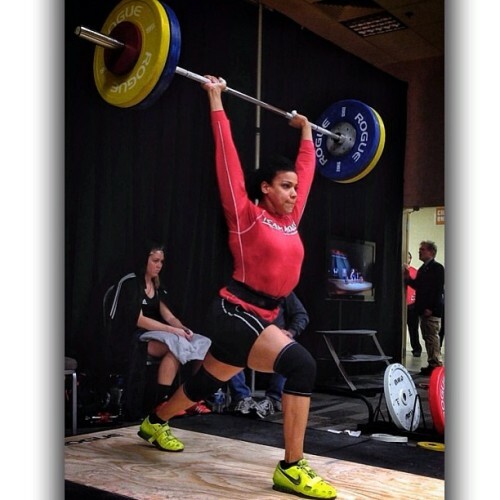 Getting the hips through under the bar is imperative to a solid receiving position in the jerk.